In a small bowl mix together the soy sauce, orange rind and juice, honey and mustard. Stir in the turkey and set aside. Heat the oil in a wok or large frying pan and stir-fry the carrots and broccoli for 3 minutes over a high heat. Remove the turkey with a slotted spoon and add to the wok. Add 2 tbsp water, the minced garlic and ginger, spring onion and red pepper to the wok and stir fry for 4 minutes. 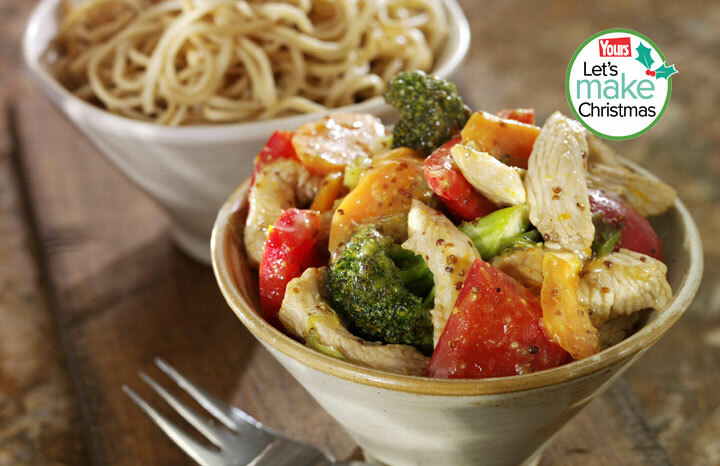 Mix the cornflour with the reserved marinade to a smooth sauce, pour over the turkey mixture and stir-fry for 1-2 minutes until the broccoli is tender and the sauce thickened to a glaze. Serve with noodles or rice.